*This recipe was update January 2018. According to the Monash University app coconut flour is not low FODMAP. Because I have been using these fun, new-to-me flours I have received some questions from you guys regarding HOW to use them in your favorite recipes that currently require traditional wheat flour. 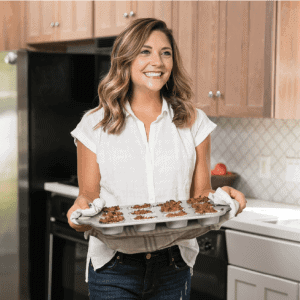 Because a few of you have asked I thought that MANY of you may have similar questions, so I thought I would do a fun little series about “How to Bake with Gluten-Free Flours” highlighting some of my favorite gluten-free flours to use. Because the post would get a BIT lengthy if I talked about all the various flours in one post, I thought I would break this down into a few posts. 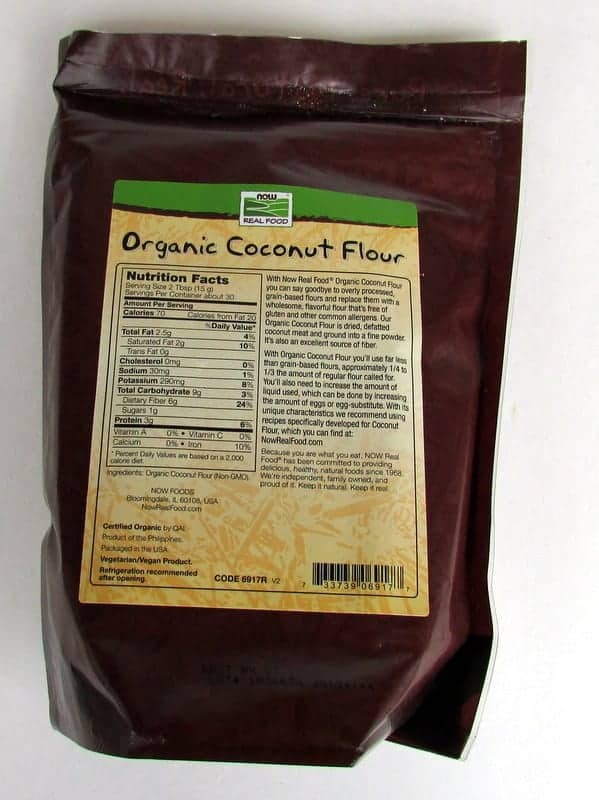 The first flour that we will be diving into…Coconut Flour! Coconut flour is made from dried coconut meat. It comes from the stuff leftover from making coconut milk! While I haven’t tried it (yet!) I have found that you can make your own coconut flour at home. Can I use coconut flour as a 1 to 1 substitute for wheat flour in a recipe? No. Coconut flour is highly absorbent, so recipes typically need much LESS coconut flour than traditional wheat flour. My recommendation is to follow a recipe written for coconut flour because it is so different from other flours. Typically, extra liquid must be added to account for the absorption of the coconut flour. Nope! Not to me at least! To me, it has a very neutral taste that goes well with savory (think breaded chicken) or sweet (quick breads and cookie bars!) dishes. Why should I bake with coconut flour? For starters, I think it’s just plain fun to experiment with unique foods in the kitchen 🙂 Coconut flour is very filling because it is higher in fiber (11g per ounce vs 1g of fiber per ounce in wheat flour! ), protein, and fat. Coconut flour is a good source of carbohydrates, but it has a slightly lower amount than traditional flour. Coconut flour is grain-free, which also means it is gluten free. This makes it friendly for people following many diets that restrict grain intake or for people that have digestive issues such as paleo, SCD, and GAPS. Where can I purchase coconut flour? 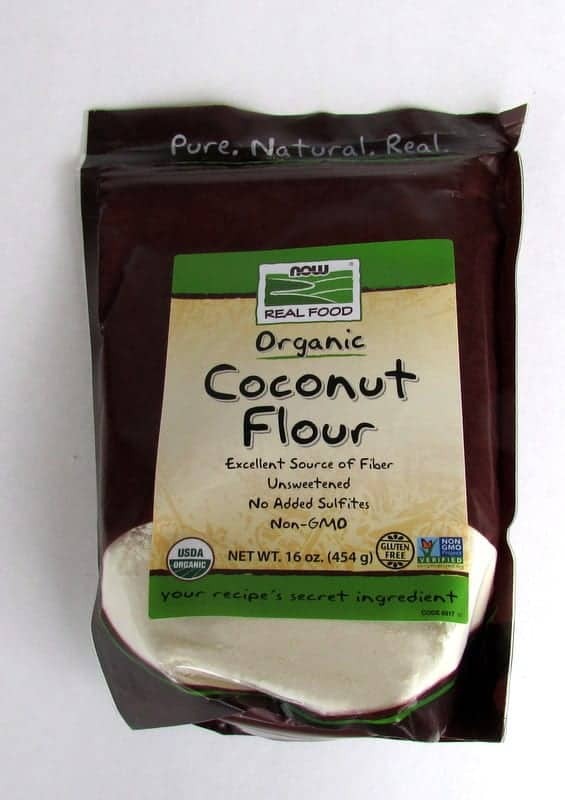 I find coconut flour at grocery stores such as Trader Joe’s, Whole Foods, Sprouts, and Natural Grocers. When stores like that are not of access I purchase online at Now Foods, iHerb, or Swanson Vitamins. What are some of your favorite recipes using coconut flour? These are all recipes I have tried in my own kitchen and loved! 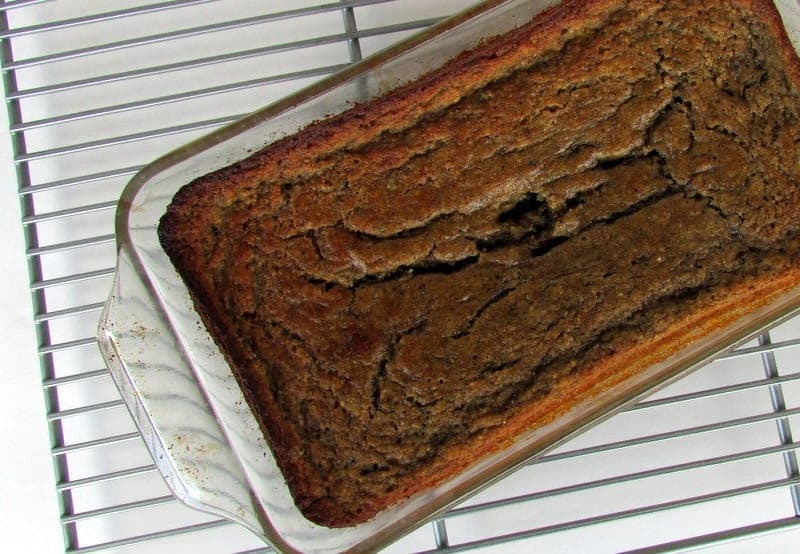 And because I couldn’t resist a little MORE kitchen experimentation I created a new recipe for banana bread utilizing delicious coconut flour. Enjoy! Preheat the oven to 350°F. Grease a loaf pan with your favorite nonstick cooking spray (I use coconut oil). In a large bowl or mixer bowl, combine the mashed bananas, eggs, coconut oil, vanilla extract, maple syrup and walnut butter until thoroughly combined. Next, add the coconut flour, baking powder, sea salt, and cinnamon. Mix thoroughly, scraping the sides and bottom as necessary. Once everything is combined, pour the batter into the prepared loaf pan. Bake in the oven at 350°F for 60-65 minutes, or until a knife or toothpick inserted into the center of the loaf comes out clean. Please note that coconut flour has not been tested for FODMAP content. Please listen to your own body and eat the foods that make you feel the best. *I typically make my own walnut butter by pouring 1 cup of walnuts into the food processor and processing until smooth. 1 cup of walnuts yields 1/2 cup of walnut butter. I have not tried to use other nut butters in this recipe, but I believe they would probably work great! **If you do not allow the bread to thoroughly cool, it will fall apart! It will still taste great, but some of it may stick to the bottom of the pan. To avoid being impatient, I recommend making this bread the night before you plan on serving it so it can cool all night long. Now Foods provided me with the coconut flour for this post. I was not compensated for my time. Thanks for writing this post 🙂 I’ve always wondered about coconut flour, and have never baked/cooked with it yet. It’s so fun to experiment with, Jess! Yum! 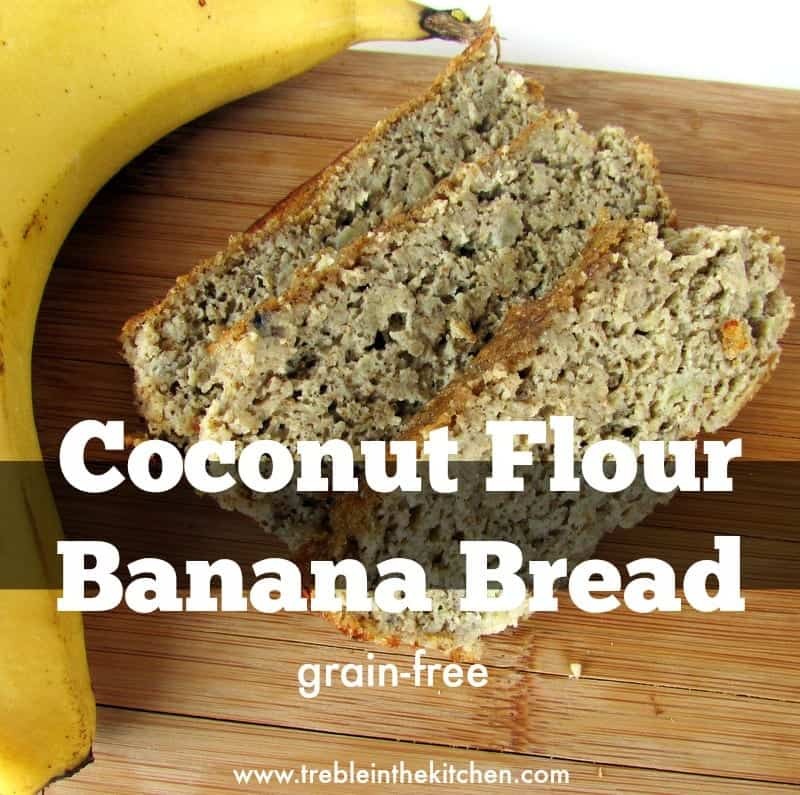 I just got coconut flour and was planning to make banana bread this weekend – I think I know what I am trying out tomorrow! I am diagnosed with Crohn’s disease and have been trying to loosely follow a FODMAP diet. I love these recipes, and am always so hesitant to bake with other types of flour! I love your approach to experimenting and when I bake this weekend I will absolutely be using some coconut flower instead : ) Hope you have a great Wednesday! I’m so sorry to hear that you have Crohn’s! I hope that you are able to manage the symptoms as I know it is not any easy disease to deal with. Good luck with the low FODMAPS and let me know if you have any questions!! I LOVE coconut flour and just made my first batch of coconut flour pancakes this past weekend. They were delicious! Let me know what you think, Stephanie!! Good luck! Mmmmm… I love banana bread! Thanks for the ideas of how to use my coconut flour! Of course! 🙂 It’s so fun to experiment with new flours! While it sounds crazy, sometimes I think cooking mistakes are the best part of cooking! You learn so much! Love this post! So informative. I’ve been trying to avoid gluten lately because it makes my stomach hurt like crazy and makes me feel sluggish on my runs. I haven’t tried coconut flour yet but I’ll definitely pick some up next time I’m at TJ’s! Can’t wait to see the next in this series! Thanks, Gretchen! Good luck experimenting with new flours!! 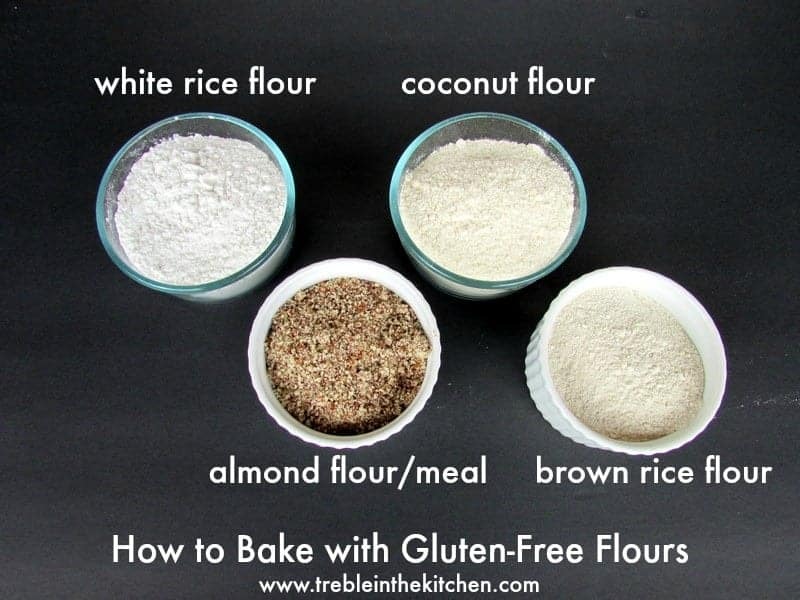 This is great…I love coconut flour (and other alts.) but I feel I always ‘mess’ up…too dry, too runny, etc. Love the help!!! Yeah! Let me know if you have any specific recipes you were working with or if you try mine out!! There is a lot of experimentation involved when using these fun flours.